FREE DULCIMER LESSONS Bradley Laird's Free Appalachian or Mountain Dulcimer Lesson site is here! 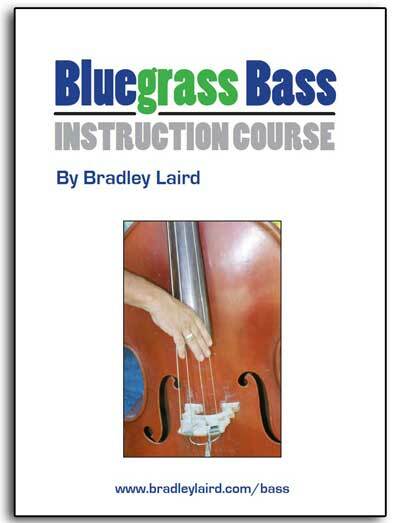 This downloadable 93 page PDF eBook is a complete beginning course of lessons for beginning bluegrass upright bass. Whether you call it the double bass, upright bass, dog house bass, or bass fiddle, the bass is a vital part of the bluegrass band ensemble. And you need is some information to do it well. 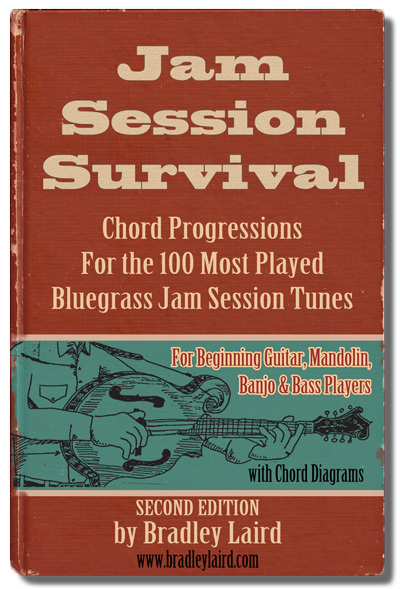 There are many fine books devoted to learning jazz or classical bass but very few which are specifically tailored to playing bluegrass style. In many places in the world, it is difficult to locate a bass teacher who has significant knowledge of bluegrass music. For less than the price of one private lesson you can download this book and teach yourself. 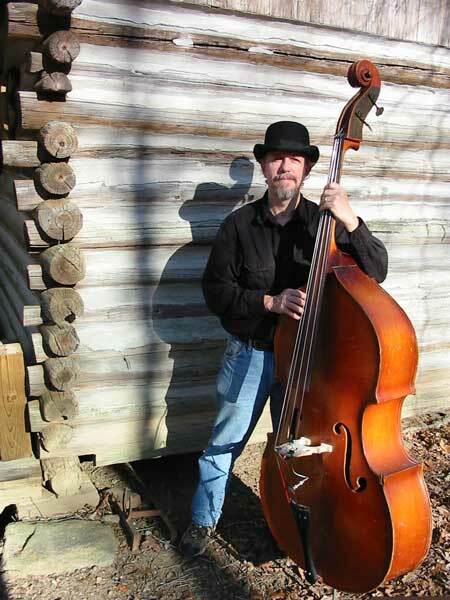 I have been playing upright bass since 1979 and have taught many students how to play bluegrass bass. After all those years of teaching private lessons, countless hours of jam sessions, and playing bass in several bands, I gathered all of my bass teaching ideas and wrote this course in a downloadable PDF book form. HINT: YOU CAN SAVE A LOT OF MONEY with the Complete Learning System which includes this book and a lot more. (5 bluegrass bass ebooks, 93 audio tracks and four video lessons) Click here for all of the details. Even if you never played a note of music in your life, this book will turn you into a bass player. If you are already a bass player, perhaps familiar with other bass styles, this book will teach you how bass lines are played in the bluegrass style. Download a free preview and see for yourself. The book can be best understood by taking a look at this free sample download. It includes the table of contents and a random selection of pages from the course to give you a taste of the contents and my style of teaching. Does the book use standard music notation or tablature? Both! All of the music in the book is written in standard bass clef for those already familiar with reading that. It also has everything in tablature (tab) which is quicker for most beginners to "get up to speed" with. Bradley Laird - Have bass, will travel. Photo by Buddy Ashmore. What songs are in the book? Again, download the free preview and look at the table of contents. There are 27 versions of 15 different songs in the book. Many of the songs are presented in progressively more interesting arrangements as I explain new techniques. Sometimes I have presented the same song in more than one key. How do I learn to play songs that are not in the book? The course explains how to play over EVERY CHORD, major or minor! You'll even learn how to quickly create your own bass lines for any bluegrass song in 2/4 or 3/4 time. I have been playing for a year or two. Is this book too easy for me? This book does cover lots of beginning techniques and concepts, but there may be some information in there that you've never seen before. After learning a few basic tunes, I teach you how to use leading tones, walk-ups and downs, walking solos, straight and "bounce" waltz and many other things. Take a look at the preview download and you'll have a better idea of what's in the book. Train 45, Boil Them Cabbage Down, Sittin' On Top Of The World, Nine Pound Hammer, Devil's Dream, Fair and Tender Ladies, Salt Creek, Old Joe Clark, Whiskey Before Breakfast, Red Haired Boy, Salty Dog, Will The Circle Be Unbroken, 12 Bar Blues... 27 versions of 15 songs! But remember, my goal is to teach you to PLAY the bass and learn to create your own bass lines for any bluegrass tune. You will learn all of those songs (many in multiple versions) but, mostly, I am using the songs to teach you bass line ideas. What else is included in the eBook course? In addition to all of those songs I just listed, the course also includes a set of printable fingerboard marking guides, lots of useful licks, and enough theory information so you can soon play over any chord. Again, see the Table of Contents in the free preview. I only have an electric bass. Can I still use the book? Sure. I don't explain much about proper electric bass technique since I am not an electric bass player, but the book is a good source for learning how bass lines operate in a bluegrass context. Sadly, a lot of fine rock, country, jazz or classical bass players have no clue how to play bluegrass simply because they've never studied it. If those folks study this book they will be able to fit right in at the next bluegrass jam or performance! All of the notation and tablature is playable on upright bass or an electric bass. If you have any questions feel free to contact me via email.